Faster payments. Delighted contractors. Streamlined operations. Qualified business can have payments arrive a full two business days earlier. 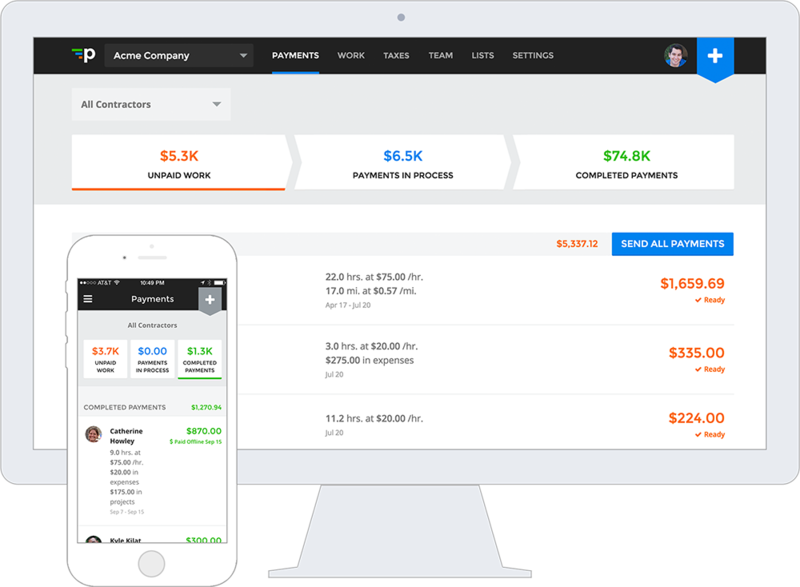 Faster payments means happier contractors. 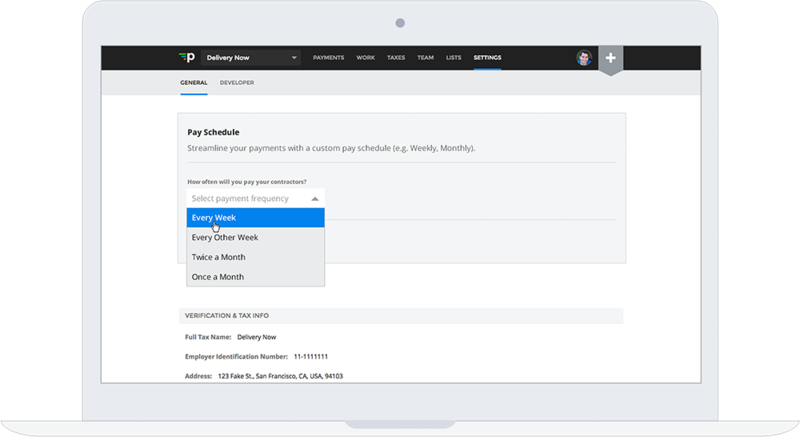 Pay Schedules make your payments repeatable, reliable, and consistent. Your contractors will thank you. And, with Custom Branding, they’ll be sure to know its you. 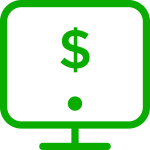 Payments arrive two business days earlier for qualified companies. Pay weekly, biweekly, semimonthly, or monthly. Develop deeper trust with your contractors.